Dreaded objection! It’s part of the selling process. 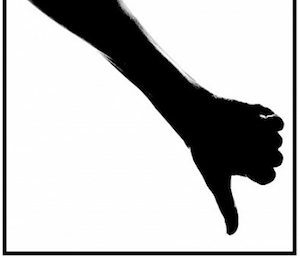 Learning to handle objections is key to becoming the best sales person you can be. So here it is time to close the deal. You have invested time and sweat into preparing the proposal to solve the prospects problem. All through the selling process you have gotten feedback clues that you understand the problem, the customer wants to solve the problem, has the money to buy your solution and most importantly you have built a relationship with the one who will sign on the dotted line. Now it is your big day. You have confidently laid out your solution and asked the confirming questions about each point. Feeling like the king of the hill you get to the end of your presentation and ask for the order. Silence! The prospect leans back in his chair, steeples his fingers, frowns a bit, then says: “I don’t think so.” The dreaded objection! Your heart skips a beat, you feel dizzy, panic starts to set in then you remember: “this is my presentation. I’m in control here.” Recognizing the opportunity for the prospect to explain his objection, you ask: “What did I miss?” (or other appropriate question to evoke a response.) The prospect lays it out for you. Then you need to be sure it is a real serious deal-killing objection or just a “smoke screen” which hides the true concern. You ask: “if I can allay your concern, will we have a deal?” Hopefully at this point he says yes and you can ask open ended and confirming questions to get to the heart of the objection. Now you have defined the dreaded objection and confirmed it is real. Address the concern. They are usually a just question that needs to be cleared up in the prospects mind. Once you have addressed the concern, get confirmation from the prospect that the dreaded objection has been overcome. Then ask for the order. Thank the prospect who has just become a customer. And take care of the paper work. 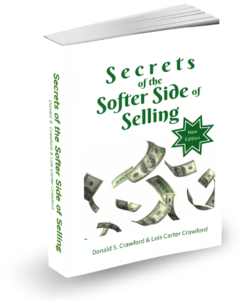 For more on dealing with objections read Chapter Thirteen, Getting the Order, in Secrets of the Softer Side of Selling. For even more sales help, join our FREE Sales Club! “See” you next week.